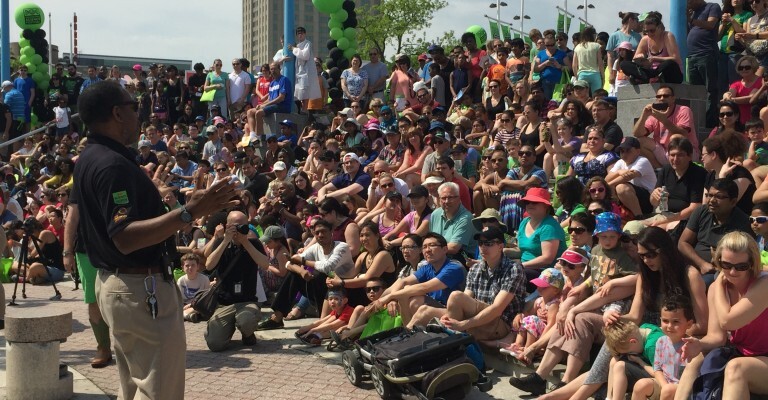 PHILADELPHIA, April 29th, 2017 – Thousands of attendees arrived at the Great Plaza at Penn’s Landing for the Philadelphia Science Festival Carnival, the final and main event of the festival. Families enjoyed a FREE, all-day, all-ages event featuring more than 175 exhibitors and vendors offering non-stop, family-friendly experiments, games, and activities. STEM Punks from The Franklin Institute kicked off the Carnival with a 75-rocket salute while onlookers cheered, followed by live entertainment from Alex & the Kaleidoscope band. Throughout the sunshine-filled day along the Delaware River, attendees were also treated to free admission to the Independence Seaport Museum. The team at Stockton & Partners are proud to be the Philadelphia Science Festival Carnival management sponsor since its inception in 2011.